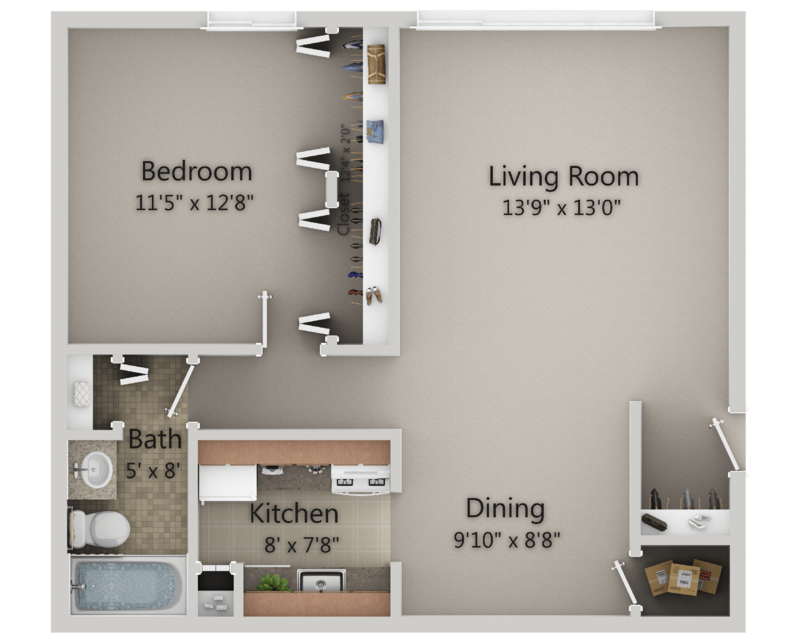 At Village One Apartments, we understand that your home is an expression of who you are. 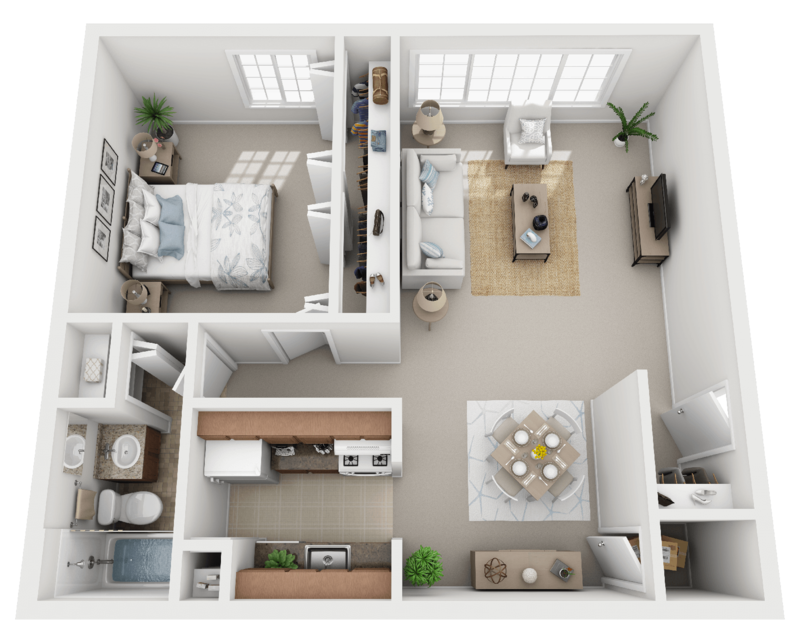 That’s why we offer spacious studio, one, and two bedroom floor plans designed to suit the needs of your modern lifestyle. 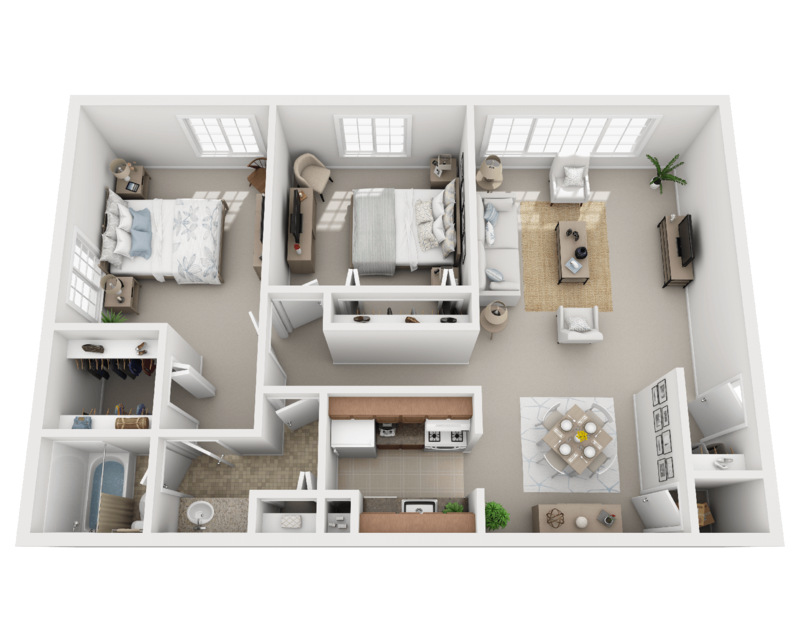 Each floor plan is filled with the special details that make your apartment feel like home, with fully functioning kitchen, plush carpeting, and spacious closets. Enjoy our community park like setting, sparkling swimming pool, and tennis court. Come visit us today for a tour of your new home. Our Efficiency is great for students, retirees and downsizers. 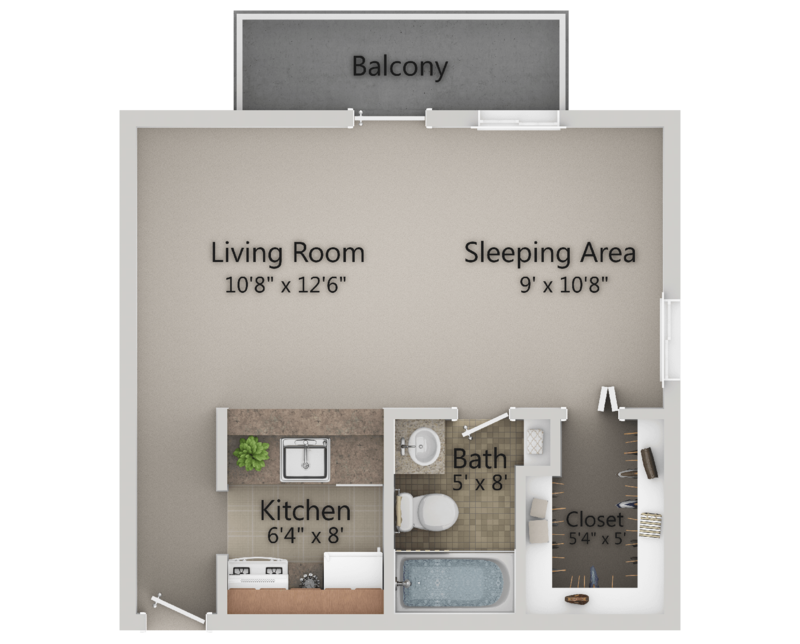 A patio or balcony is included, providing additional living space and pleasant views. Size: Starting at 551 sq. 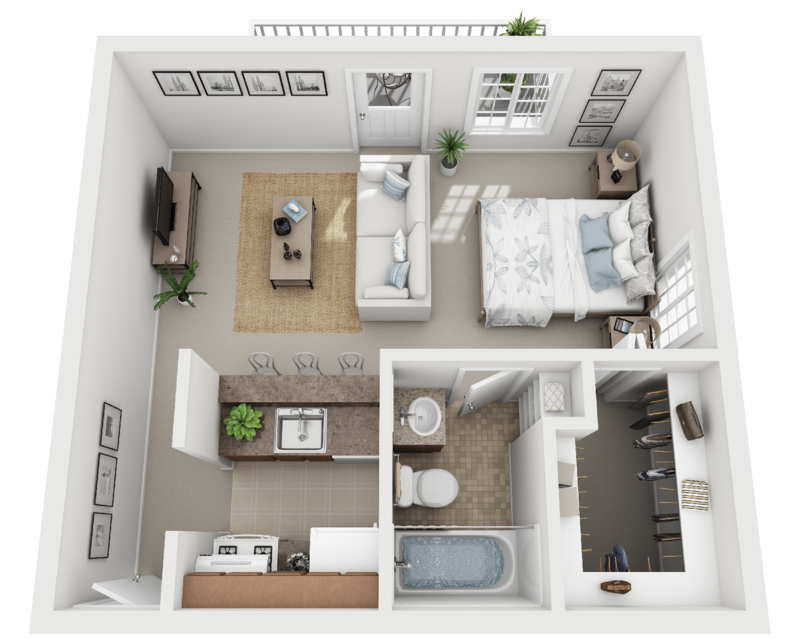 ft.
For a larger floor plan, download info sheet. Learn more about the surrounding area. 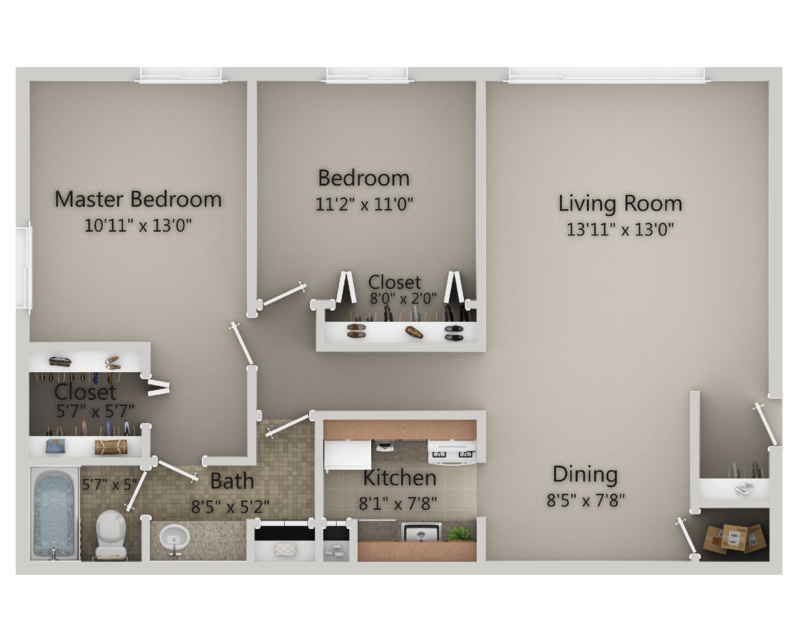 Our 1 bedroom comes with very generous closet space, perfect for individuals or couples. It offers an open floor plan that allows for plenty of natural light and a comfortable and casual kitchen-dining-living area. Size: Starting at 710 sq. ft.
Our 2 bedroom comfortably accommodates roommates or young families. The open floor plan provides for a comfortable kitchen-dining-living area that receives plenty of natural light. Size: Starting at 931 sq. ft.